In the U.S., China is considered the poster child for imported food safety concerns. With the U.S. importing more than $4.2 billion worth of food and ingredients from China in 2011, the safety of foods produced there impacts the U.S. This was especially evident in 2007, when wheat gluten from China, adulterated with melamine and cyanuric acid, was used in the manufacture of pet foods, resulting in the deaths of hundreds of pets. On June 11 of this year, China unveiled a five-year food safety plan as part of a long-term reaction to a series of food safety incidents. Chinese leaders recognized the "Made in China" brand was suffering and embarked on an aggressive program to address food safety both to protect the export market and to resolve domestic concerns. With the five-year plan, the Chinese food industry is trying to accomplish in 10 years what it took the U.S. 100 years to achieve. Will the plan and new regulations change Chinese food production practices? To answer this, we look to history. This is not the first time China has drafted and publicized a food safety plan. In 2007, the Chinese and U.S. governments signed a memorandum of understanding to expand cooperation on food safety concerns. In 2009, China published its first food safety law with the objective of consolidating existing regulations and enacting penalties. In 2010, China set up the Food Safety Commission of the State Council to enhance regulation and administration of food safety. Despite the reform attempts, food safety issues have continued to emerge in China because an effective system has not been established to hold officials accountable for performing their duties; interpretation of food safety standards by central-level and local government departments is inconsistent; and standards are not enforced by certain local government departments because of local protectionism. As the Chinese economy develops, so does their vulnerability in the global food marketplace. China cannot afford for the world to have concerns about the safety of its food products. Going forward, China will not be able to hide poor production practices behind the Great Wall, particularly if it wants to do business in the U.S. -- especially given the Food Safety Modernization Act's (FSMA) Foreign Supplier Verification Program and opportunities for facilitated entry of imports as a Voluntary Qualified Importer. 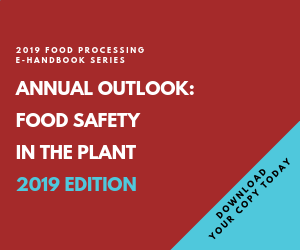 FSMA also will lead to increased foreign inspections by the FDA, and the growing importance of supply chain visibility in the food industry means food companies are increasingly conducting food safety audits. David Acheson (david@leavittpartners.com) oversees the food and import safety consulting practice at Leavitt Partners. Kim Walker (kim.walker@FaegreBD.com) leads Faegre Baker Daniels’ food and agriculture legal team. Together, these firms provide a collaborative solution to food safety management. So what is different about this plan that might make it more effective? There is enough specificity in the plan to suggest that some action might be taken. The plan identifies several priorities for food safety improvements: dairy products, infant food, meat, alcohol, vegetable oil, seasoning, health products and food additives — in other words, high-risk foods associated with the recent history of adulteration. The concept and implementation of risk assessment clearly emerge in the plan. While focusing on known risks is an obvious starting point, as we have learned in the U.S., unexpected risks can arise. This is why FSMA has focused on preventive controls. Implementing preventive controls across all food production in China is likely a future strategy. Further, the plan commits China to working more closely with Codex Alimentarius, the international standards-setting body for food. Is China’s food safety plan similar to FSMA? No. Through FSMA, FDA is charged with developing food safety regulations and ensuring firms are implementing preventive controls. While the Chinese plan includes modern concepts such as risk assessment, international standards and transparency, it does not provide prescriptive direction to food manufacturers. The plan reads more as a structure for the governance and regulation of food rather than a charge to industry to improve practices. The five-year plan may bring China closer to international standards and expectations, but the need for training of industry and government alike will require a formidable effort, which is an explicit goal of the plan. The plan also identifies "constraints," which implies acknowledgement of the need for professional development and openness to assistance. While improvements within the government are commendable, food producers — both those in China as well as those around the globe importing products from China -- cannot afford to wait for the Chinese government to issue and enforce regulations that will substantially change food production practices. To protect their brands, safeguard public health and maintain regulatory compliance, food companies should seek to better understand the food safety practices of those with whom they do business and should make intelligent, risk-informed decisions to meet their business needs.